My mother gave me your first book many years ago and I was hooked from the start.We spent years talking about Jamie and Clare as if they were family. She would be over the moon to be seeng the coming mini series. She is gone 5 year’s now and I am sooo excited to read the 8th. I can’t even tell you how many people I have turned on to these books. I also give them the advise to kiss your family good bye for a few days. Im looking foward to kissing mine goodbye. You did it once again! I listened to MOBY on my iPod non-stop, and when it ended- I was saying “OH NO!! !” It can’t possibly end like that- just when Brie and Roger and the kids are reunited with Jamie and Claire! PLEASE tell me that there is going to be a sequel! There MUST be!! PLEASE!!???? Absolutely love the Outlander series! My visiting Danish friend saw the latest book I am reading and is interested in reading the series too. The series does not appear to be translated to Danish. Any chance this may happen soon? Several years ago I finished the last of the Outlander series as of that time. Since then, I have resumed reading at my retirement home and have re-discovered the series. What a great thing to know that there are several books already published that I can look forward to enjoying. Since I am only eighty-four years old, I am confident I will catch up. The notes here suggest that very few of your readers are men. I don’t believe it. These are wonderful and exciting stories that should appeal equally to men. Keep going, Diana, you are a treasure. Vos fans ne sont pas seulement Anglophone! J’ai même acheté un de vos livres via le canada car en Belgique, il tardait à être publié (édité). Hope you can see my comment. I’m a translator from Mainland China. I encountered OUTLANDER by the TV series this year. After I watched the first episode, I fell in love with the story. So I hurried to buy books overseas and read them. I have to say I really appreciate your story and your beautiful language. I’ve searched on Internet that Outlander series had been translated into Traditional Chinese and published in Taiwan, but there is no Simplified Chinese version published in Mainland China. 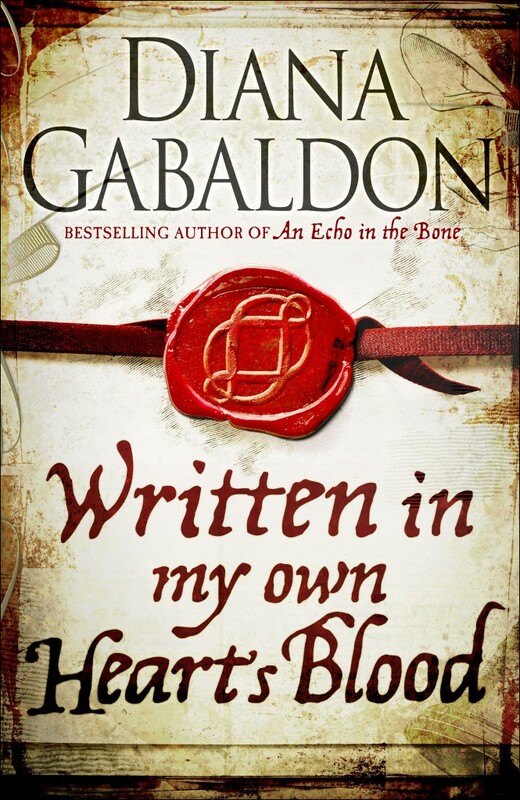 I’m wondering whether the copyright of translating Outlander is authorized to any publisher in Main China. 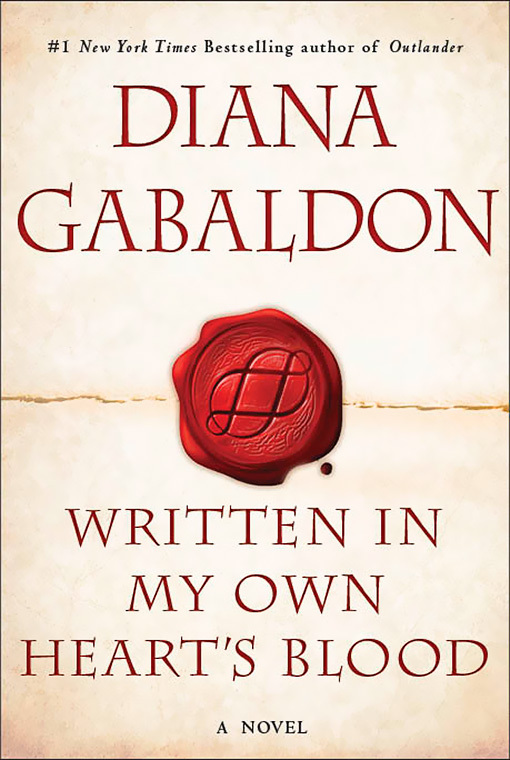 If not, who shall we (a Chinese publisher and me) contact to discuss about translating Outlander into Simplified Chinese? You should contact the literary agent who handles my foreign rights: Danny Baror, of Baror International. http://www.barorint.com Thanks for your interest! the series prompted me to read your first book. And after reading it, I spent a summer and even now catching up with the entire series. I am loving these character driven stories, the intertwined connections that have a way of tying each book together at the end. And I am fully vested in Jamie and Claire’s love for each other and their family. My regret is taking Bree, Roger, Jem and Amanda away from them. I loved the connection and watching the family interact. I hope you can bring them back to Claire and Jamie before Jem and Amanda are grown. good day! I was happy when I have learned about your knew book WRITTEN IN MY OWN HEART’S BLOOD (aka MOBY), since last june I am looking for the french version. The last time, it tooks about 6 months between the original version and the french version. I have sent to the publishers Libre expression if they had a date but I have never received an answer. Could you give me some incormations if you have informations. I love your books but i read them in french i and would like to know if they will be out in 2015 and are you gonna do a book tour in quebec when the book will come out. I don’t know, and I don’t know, I’m afraid–though my best guess is that the French translation of WRITTEN IN MY OWN HEART’S BLOOD will indeed be out in 2015–if only because it normally takes about a year to make the translation. On the other hand, we’ve recently split the French publishing rights between two different companies, and I’m not at all sure how they’re handling the translation issue. I have reread the series of books many times and have now just watched Part 1 Season 1 of the TV Outlander series. Absolutely amazing and can’t wait for Part 2. My daughters and I just love your writing about these characters and hope there is never a final book. Thank you for keeping us enthralled throughout the series. I have totally fallen in love with your wonderful story. Love the series! My only questions is whether or not MOBY will be released in Paperback? I have a collection of the trade paperback and want to “complete” the collection. I could not wait for the paperback release and purchased the kindle version and read the book in less than a week. It is I think time to re-read it again. Thank you! first, I just got my signed copy of The Outlandish Companion. Thanks you very much. Second: reading the companion I read the a letter from Alan who questions the cause of Rosamund’s death by what Claire thinks is anaphylaxis because the death wasn’t instance. This is from personal experience – i lost my grandmother to anaphylaxis reaction to cordisone. The reaction can be fairly quick but the death isn’t necessarily. Depending on the severity of the allergy and the level of medical help available the death can be quick or take a few days and there is a fever I’m just guessing but the fever is probably the body trying to burn of the allergen. My grandmother was in the hospital and it took about 3 days for her to die. My cousin remembers how hot she was and with a child’s memory for a long time felt that was part of why she died. (not now she knows better). Fortunately, when i had my experience far from help i managed to live for 4 hours which got me to help. So for me the scene was very real. Thanks you for these books. I too am looking for the paperback publishing date for my collection. My sister has also requested the paperback edition in large print. Since I can’t get it for her for Christmas, she will have to settle for an IOU. Would be nice to give her an idea of when it might be released. There are no large print editions of any of my books (except LORD JOHN AND THE PRIVATE MATTER, which they did as sort of an experiment, but that would be hard to find). Perhaps your sister means the larger-sized paperback? That’s called a trade paperback, and it should be out fairly soon–it normally comes out anywhere from 6-12 months after hardcover publication, but most often around 9 months. The mass-market paperback (the small size) comes later, but I think the print size is the same across all editions. Hope your sister can read one of them! For those who prefer large print, you may like the eBooks on a high-resolution tablet. I’m using the Nook app on a Windows tablet; I can set the text size to larger-than-print if I want it. These characters…your people…just keep getting better, as do their trials…which are so real, I’ve been counseling my children to watch for water moccasins, which will attack apparently, when they play at the nearby creek. In fact, when we hang out at the Cape Fear River, now, I swear I can hear working plantations and slow moving river boats. I like the slight format change in #8, with the new sections beginning in all caps. Mostly about #8, I LOVE how the story keeps getting better…even the new characters are enticing…Patience and Prudence hook the heart and evoke giggles and the historically significant new characters are as close to real life as possible. I was hooked with # 1, but #8 is better, unbelievable as that sounds. Take as long as you like writing book 9. I will be abiding, enjoying my own ideas about how the saga will continue. It will be painful if any of your, now also my, people die in #9, but it’s your story to tell and I’ll love it… however you end it….especially if you don’t end it. While you all may be waiting for the hardback edition, I will be waiting patiently for the paperback to be published. I just cannot seem to spend the money on a hardback. Although, in hindsight, perhaps I should have forked out the money on these books as I do rather like reading them. Oh well, time marches on and the paperback will eventually hit the shelves in the bookstores. I can’t tell you how much I have enjoyed your books over the years. They have given me many hours of reading pleasure. I think they are very well written. You are one of the best authors in describing characters and making them come to life. Please keep writing and I will keep reading! Just read through the entire series AGAIN and enjoyed all of the books. I was furious when you ended Book six with everything up in the air but can sleep happily with the last scene in MOBY. One curious note. Did you intentionally name a character Heughan and another Catioana before or after the actors were chosen to play Jamie and Claire? I was so excited and said to my daughter “I’ve got to buy this, because it’s such a beautiful story” And I need to follow on the life stories of Jamie and Claire and family. They are such real characters to me. It’s so beautiful. Now that I’ve read this, I cannot wait for the next book. Please let me know when we can expect this because I for one cannot wait. does anyone know when the new book will be published in french in canada ???? ?